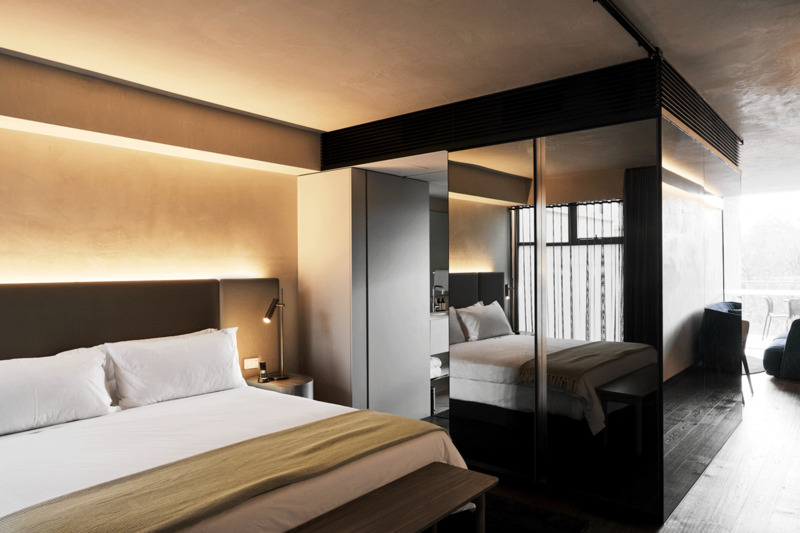 Spacious and well appointed, our suites provide a luxurious haven in a bustling city. 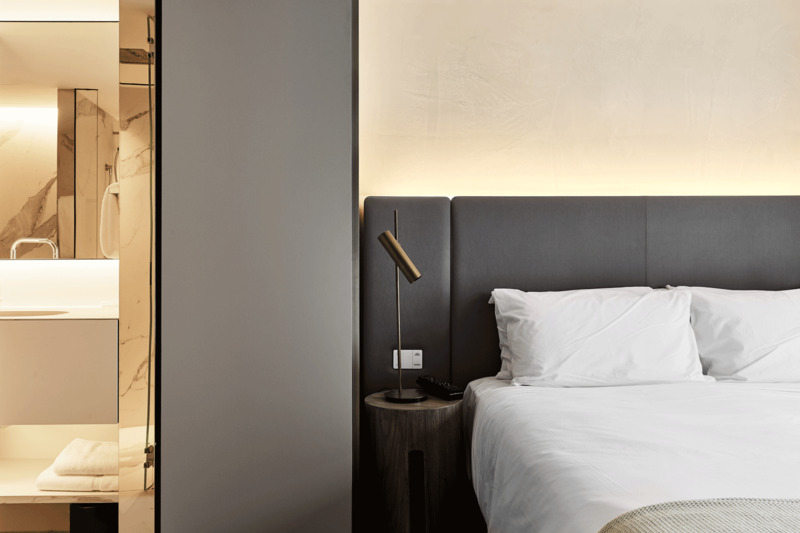 With their ample, made-to-measure proportions and luxurious textural embellishments, our suites combine the best of contemporary design with a personalised sense of sanctuary and escape. All suites boast a private terrace, a well-equipped kitchen and a minibar stocked with local produce and the world’s best single malt whisky, Sullivans Cove. 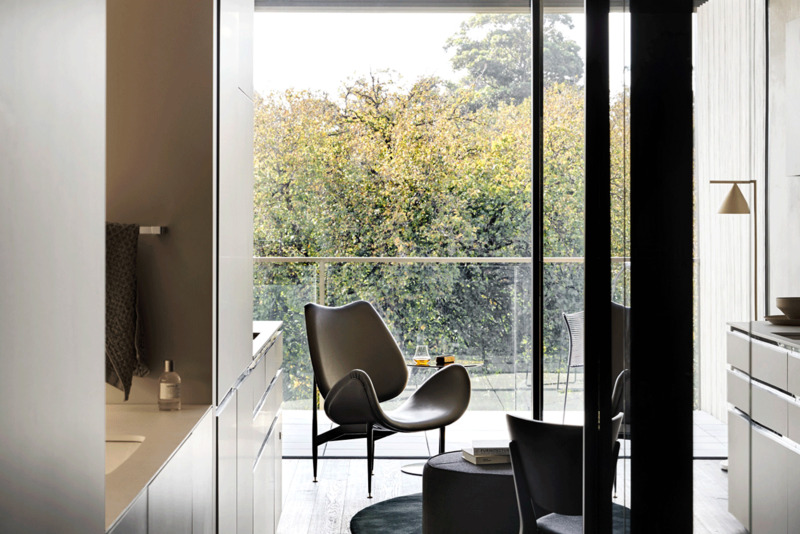 Private and secluded, these one-bedroom suites look over the genteel rooftops and laneways of South Yarra. 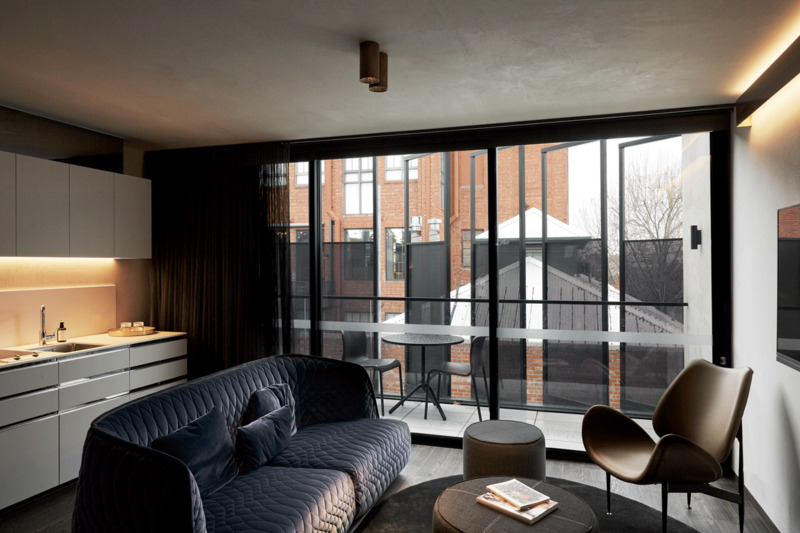 The muted pink tones in these quiet and spacious suites pay homage to the classic red brick of the industrial buildings and warehouse structures that lie to Melbourne’s south. These suites were created with relaxed elegance in mind. 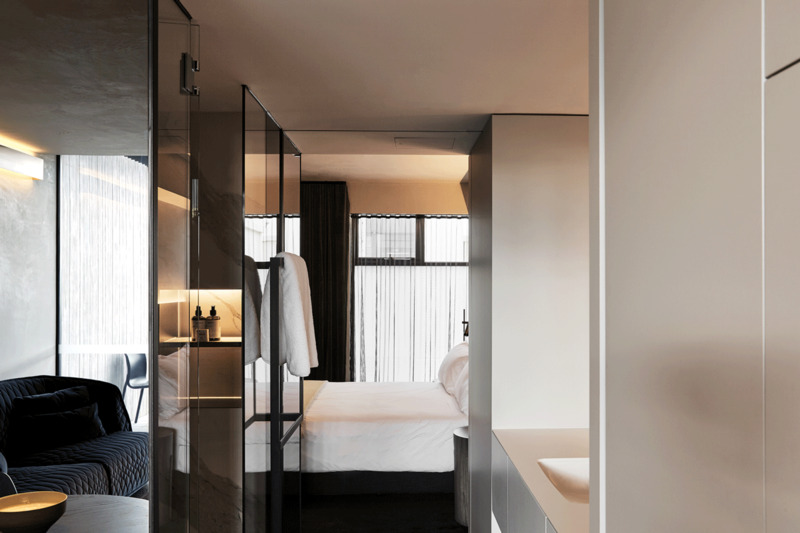 They feature generous living areas and well-considered amenities including ensuites designed as striking sculptural mirrored forms. 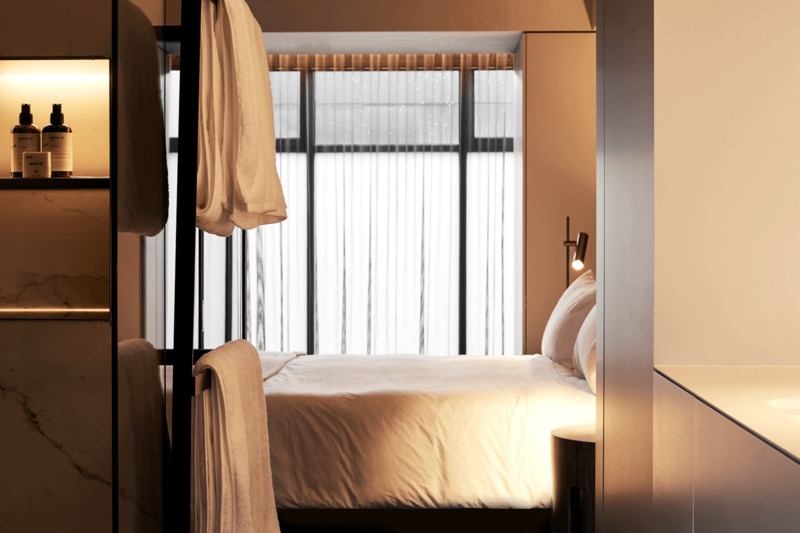 The rooms’ textured architectural canvas of raw planes – inspired by United Places’ robust exterior – contrasts with soft, curvilinear furnishings, rich velvet drapes and thoughtfully curated details throughout, providing for an intimately luxurious experience and an unforgettable stay. 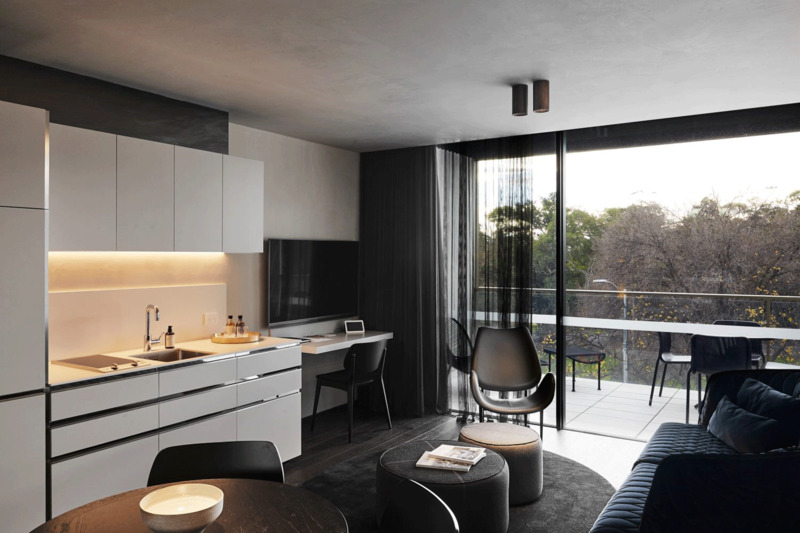 These spacious one bedroom suites, look north over the rustling trees of the Royal Botanic Gardens. 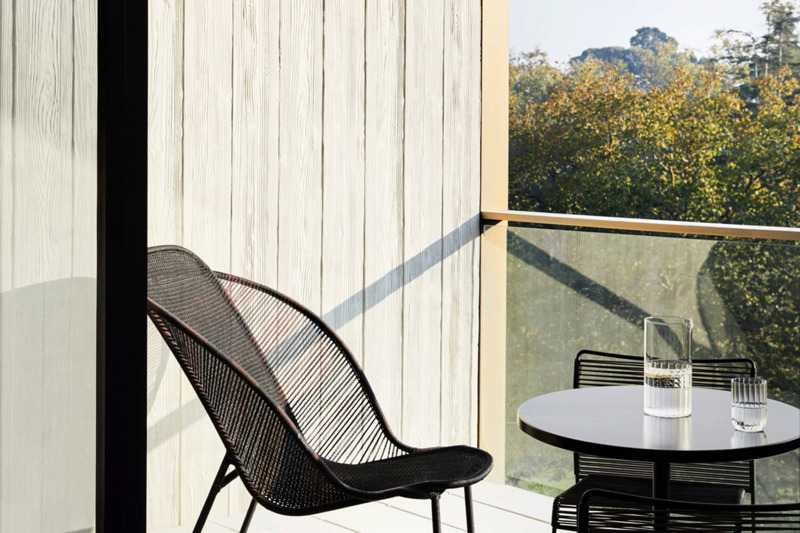 Their deep terrace balconies provide the perfect, and private, vantage for languorous moments spent looking out over Domain Road, or simply lost in thought. In the suites, a lush green colour palette connects to the garden views beyond the terrace. We have gone to great lengths to make these rooms a delight to be in, with considered design and the most sumptuous of amenities. Hand-made lamps and refined detailing complement the simplicity of the modernist interiors. 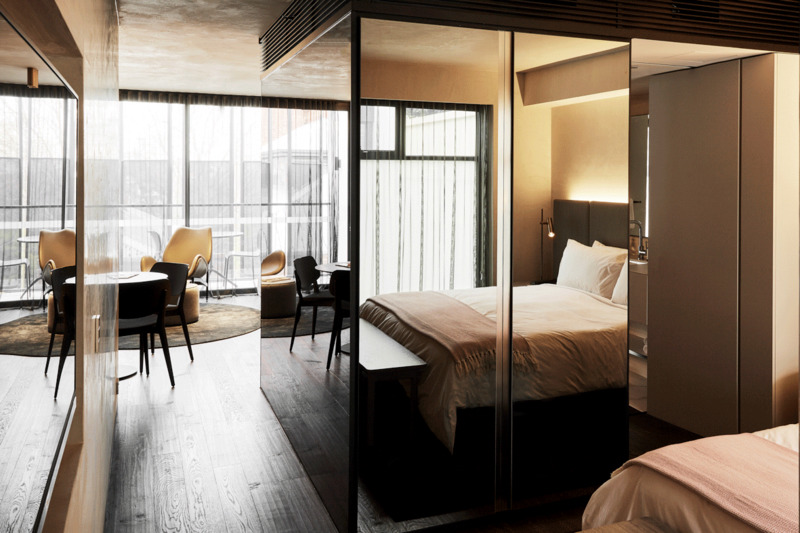 A picture of comfort and warmth, the suites are brought together by the sumptuous, textured forms of luxurious furniture by Spanish designer Patricia Urquiola. 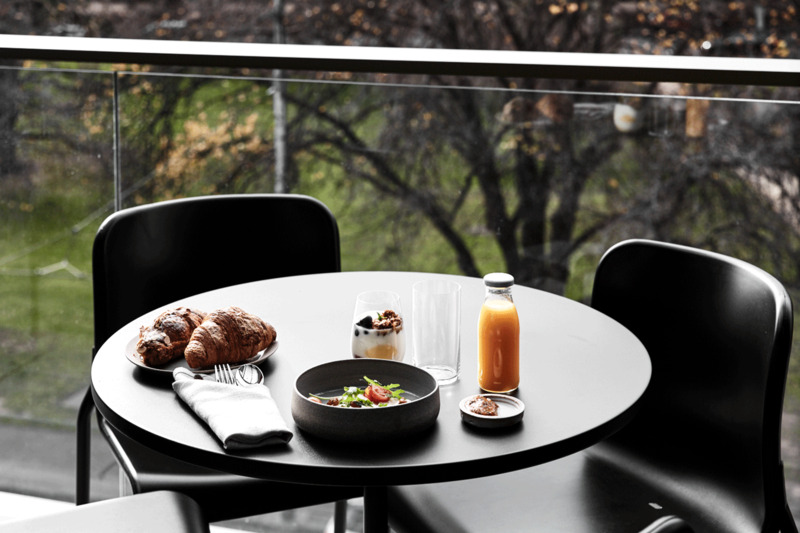 These spacious one-bedroom penthouse, on the top level of United Places Botanic Gardens, enjoy majestic views looking out over South Yarra towards St Kilda and the bay. 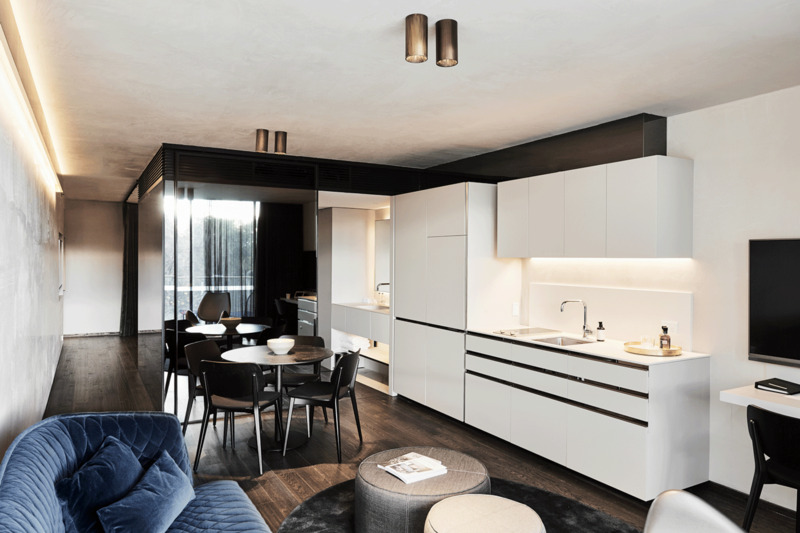 Peaceful and secluded, the penthouses feature muted pink tones in reference to the red brick of the traditional industrial buildings and warehouses that lie to Melbourne’s south. 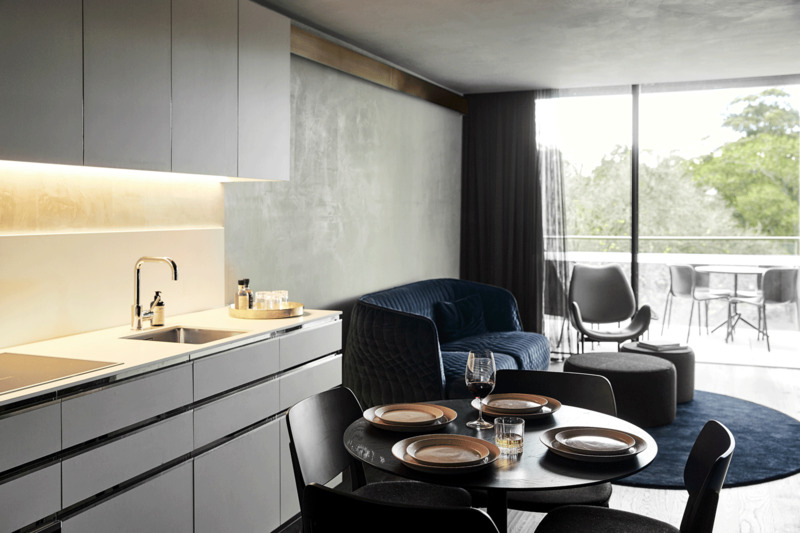 With its luxurious design, amenities and finishes, a penthouse will ensure a memorable stay. 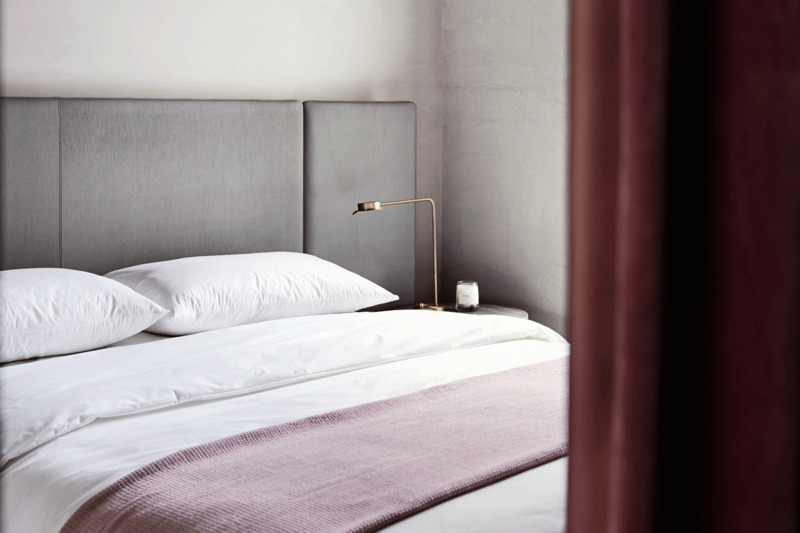 Soft, sumptuous furnishings – including velvet drapes that create a sense of drama as they enshroud the king-sized bed – have been carefully harmonised with modernist interiors inspired by our building’s robust exterior. 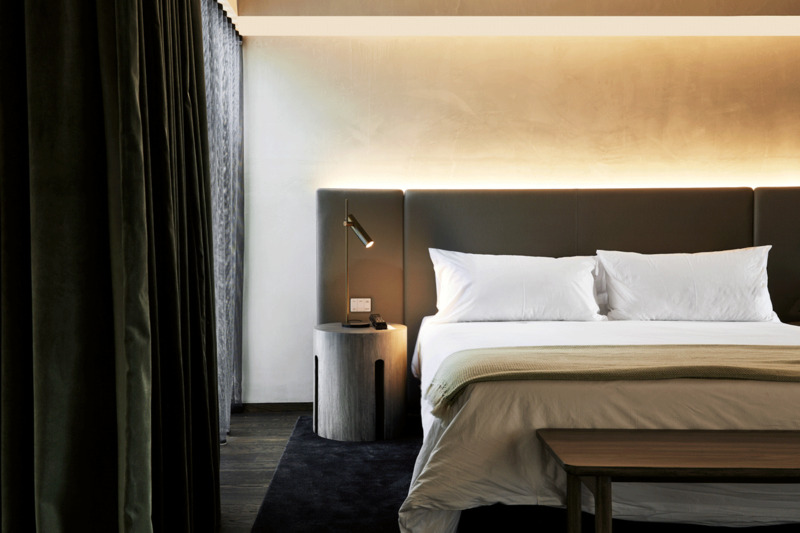 From the textured sofa furniture by Spanish designer Patricia Urquiola to the bronze down lighting and hand-crafted lamps, everything here has been carefully considered for your maximum enjoyment. 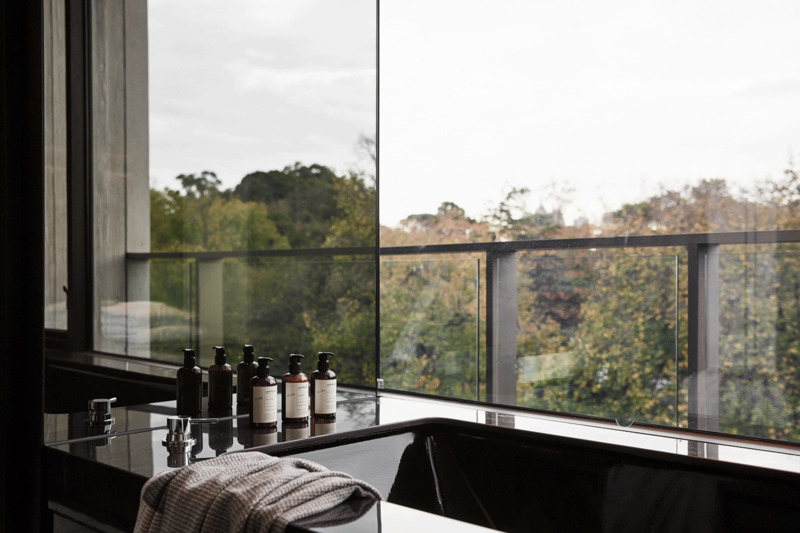 Our most deluxe offering, this one bedroom penthouse surveys the Royal Botanic Gardens from the grandeur of the hotel’s third level. Boasting uninterrupted views, this warm, north-facing penthouse features a large private terrace from which to survey the world outside. Throughout the interiors, a sumptuous colour palette of deep forest tones echoes the botanic greenery beyond Domain Road. Every amenity you may need, from kitchen and minibar to entertainment and ensuite, has been carefully considered. 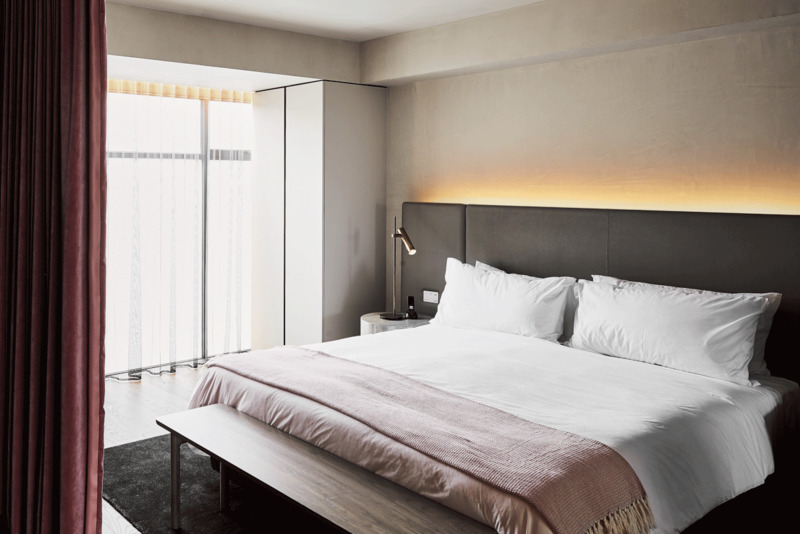 Executed with the most thoughtful of design, carefully chosen fixtures and amenities combine with soft, curvilinear furnishings by Spanish designer Patricia Urquiola complement the suite’s modernist-inspired architecture. These spacious two bedroom suites, look north over the rustling trees of the Royal Botanic Gardens. 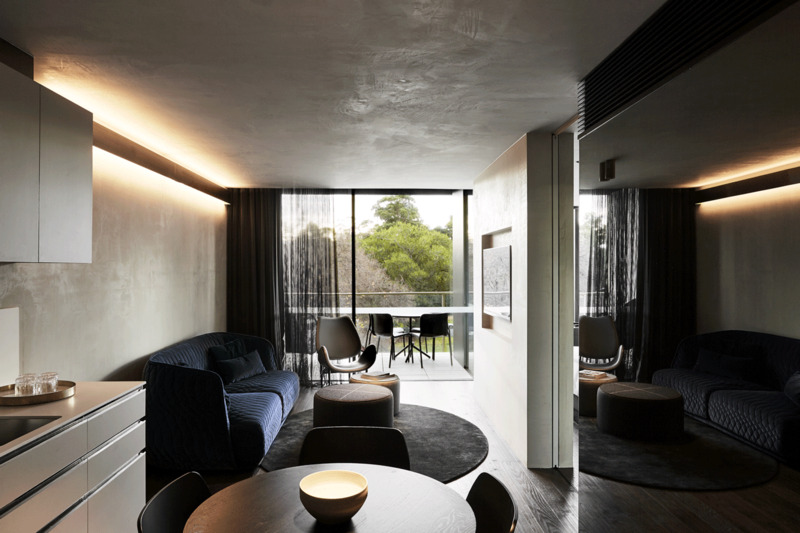 Their deep terrace balconies provide the perfect, and private, vantage for languorous moments spent looking out over Domain Road, or simply lost in thought. In the two-bedroom suites, a large black sunken bath nestles into the terrace. 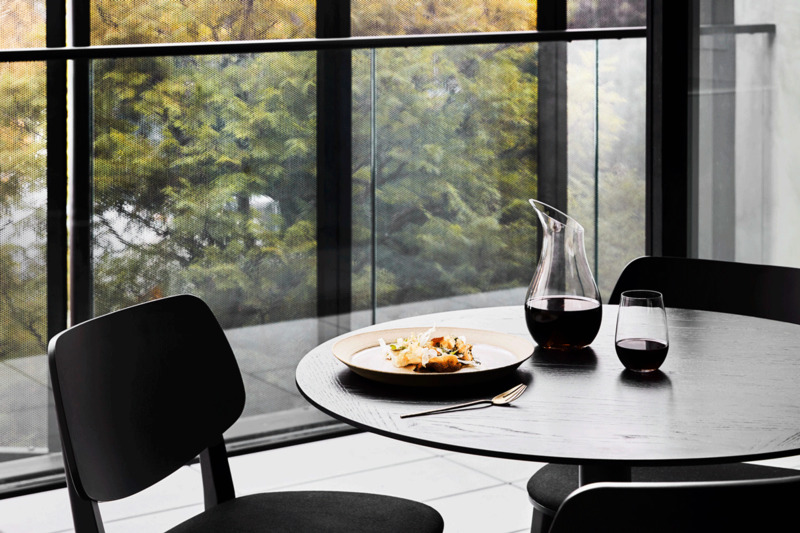 Hidden behind charcoal-tinted glazing, guests can indulge in 180-degree views of the Royal Botanic Gardens and the spectacular city skyline. Like bathing on the edge of a precipice, the experience is sensory and evocative. We have gone to great lengths to make these rooms a delight to be in, with considered design and the most sumptuous of amenities. 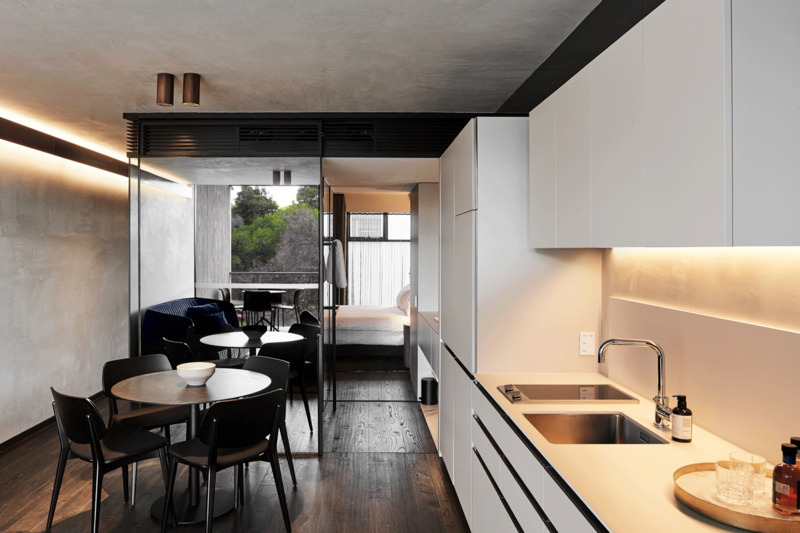 Hand-made lamps and refined detailing complement the simplicity of the modernist interiors. 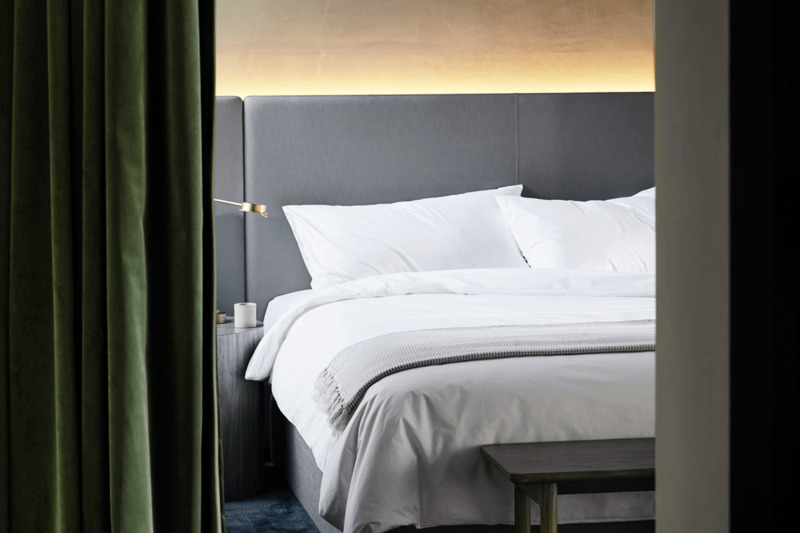 A picture of comfort and warmth, the suites are brought together by the sumptuous, textured forms of luxurious furniture by Spanish designer Patricia Urquiola. 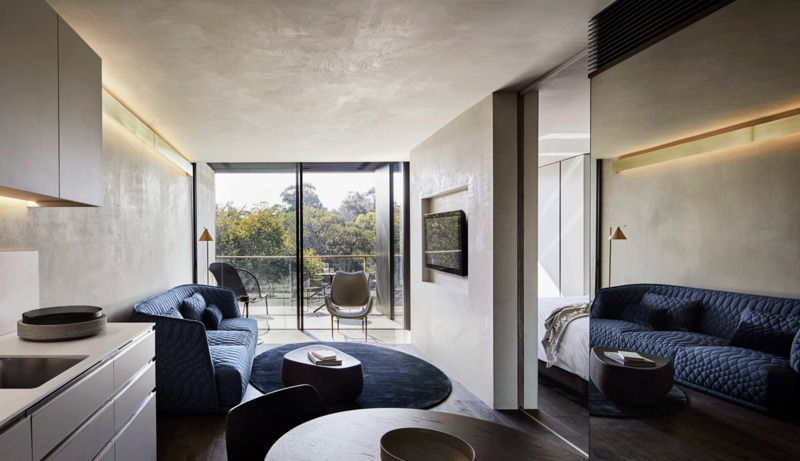 Our most deluxe offering, this two-bedroom penthouse surveys the Royal Botanic Gardens from the grandeur of the hotel’s third level. Boasting uninterrupted views, this warm, north-facing penthouse features a large private terrace from which to survey the world outside. In an innovative architectural detail, in the two-bedroom penthouse a large black sunken bath is integrated with the terrace windows. 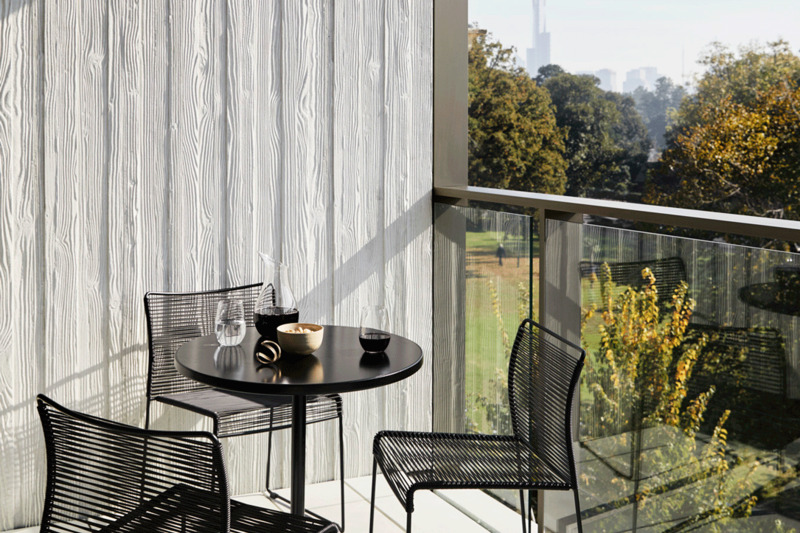 From behind discreet glazing, guests enjoy spectacular 180-degree views of the gardens and the city skyline.